It was reported here that the Nokia 9 pureview phone is said to be equipped with five cameras.Now the latest renders, called Nokia 9, have not only ensured its penta camera setup but also revealed some key features.All features in the previous reports are matched, but there is no brandview of pureview in these new renders.When reading with previous update,we can speculate that Nokia 9's pureview is going to be released as Nokia 9.However,have a look at new renders given below. 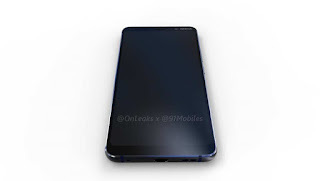 As shown in the pictures, the phone has five cameras at its rear panel.It will include telephoto lens,depth of field and wide angle lens.Apart from five cameras,remaining two modules will house dual LED flash and camera sensor.Because any notch does not seeing on the display,it will have a 6-inch QHD resolution screen with 18:9 aspect ratio.We can also make sure that it will have an indisplay fingerprint scanner for security as there is no fingerprint print scanner is visible on its render. 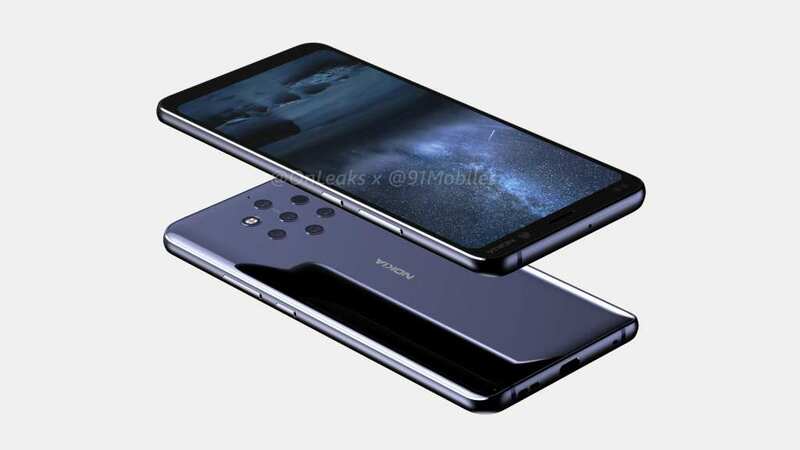 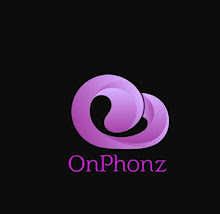 The phone runs on the Snapdragon 845 processor and can be expected to have 8GB of RAM and 128GB of storage.It will be preloaded with Android 9 Pie which has stock interface.Besides, there is a 4250 mAh battery to provide energy. 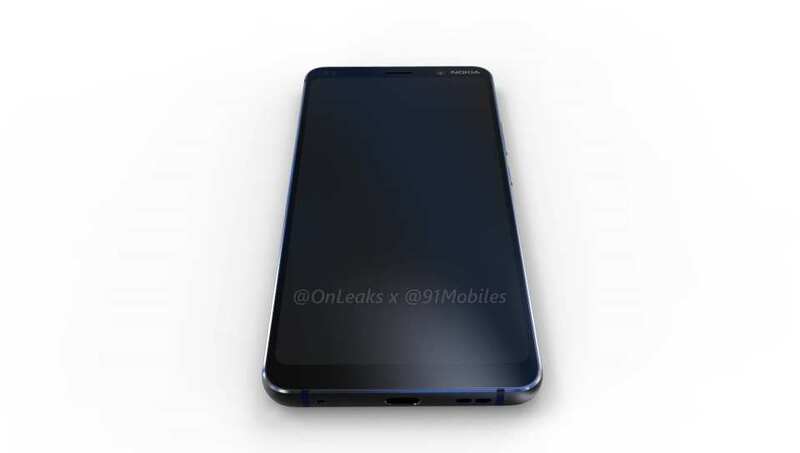 The other thing you can see in the render is the phone's design.It has glass body on its back and metal frames on both sides.As usual,volume and power buttons are placed at right top edge.But it's sim tray has moved to its top edge.At bottom edge,there is USB TypeC port and speakers can be seen.Here,it misses 3.5 mm audio jack.At right top of display,Nokia brand name with single selfie snapper also visible. 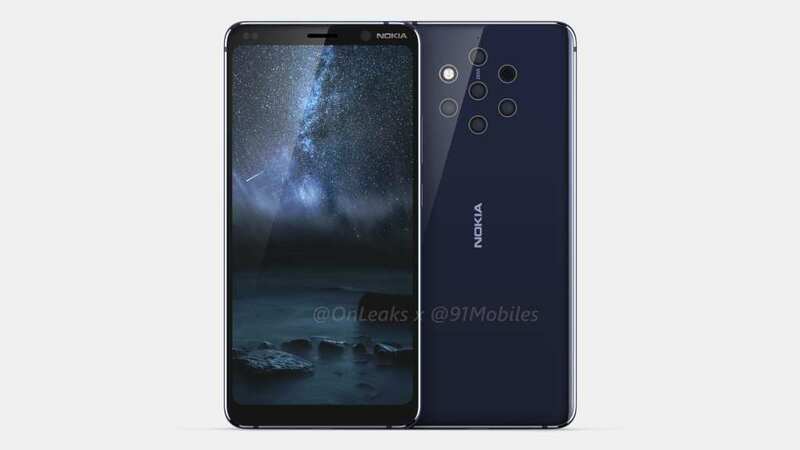 Though,key features about the phone is leaked, it does not know the date of the release or price.However, it is expected that Nokia 9 will be announced officially at MWC 2019.